Cable with three concentric conductors. The inner conductor is enclosed in dielectric medium and the first shield, followed by the next layer of dielectric medium, the second shield and finally the outer jacket. 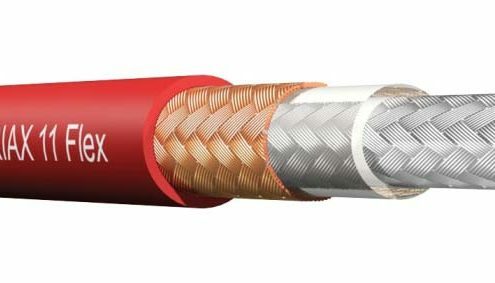 Triaxial cables are primarily used in video technology.